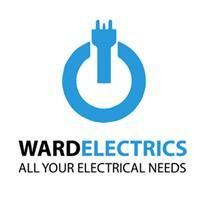 Ward Electrics has been working in and around London on all types of domestic electrical jobs. We have completed a number of rewires on both new and existing homes, where we pride ourselves to finish on time and on budget. We are also tested and certificated under NICEIC and have the top of the range testing equipment. We give honest advice and fair prices. Offering a full range of electrical services that meet the latest regulations from a new plug socket to a complete or partial, rewiring of your property professionally and efficiently. Ward Electrics is part of the NICEIC, Registration Number - D606577. Outdoor Power – lights, sockets and power to a shed.